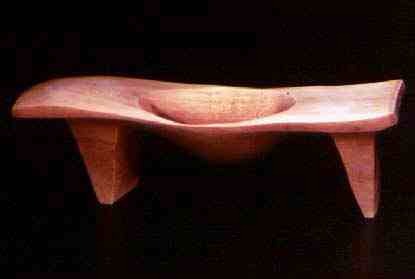 I call these bridge bowls because the bowl part is suspended between two legs or pillars. Sometimes I position the legs at the extreme ends of the piece and other times I vary where I put them. 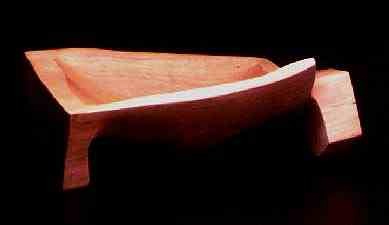 I like the idea of seeing beneath the object, the negative space, the fertility or ripeness of the suspended bowl!